Are you fond of drinking wine? Are you planning to build your passion into a collection in the future? If that is the case, you should know the importance of commercial wine storage. No, this doesn’t mean storing your bottles in some place in your home that isn’t hit by direct sunlight. Wine storage in this sense means either building a wine cellar, or having a proper facility that is aimed at preserving wines to ensure they age well and therefore taste well once finally uncorked. The art of storing wine isn’t a practice that was brought about recently. In fact, we still adhere to some concepts created by the ancient Greeks. They may not have had the technology we enjoy today, but they sure did find the perfect spot to hide their wine for future use: underground caves. Wine needs to be stored in a cool and humid environment. Two conditions need to be met for wine storage: cool and humid. It’s best for wine to remain at temperatures between 55 to 58 degrees with about 55 to 75% relative humidity. And it’s really important for these conditions to be met, otherwise the liquid inside the bottle won’t be as good as it should. Wine should be allowed to breathe properly. You already know that wine tastes better when it has aged. What brings about this aging process is the liquid being able to breathe in the proper manner. You see, wine breathes through the cork and unfavorable storage conditions will result in equally unfavorable results. Oxidation is a process that should be regulated carefully to ensure that “breathing” will be carried out at a proper pace. As a result, wine will age gracefully, so to speak. This concept can be explained better in this manner: when you leave an uncorked bottle of wine overnight in a room and drink it the very next day, you’ll find that its taste won’t be as pleasant as the first pour. So what exactly ensures that “breathing” is done at the proper pace? Wine breathes slower when temperatures are low. While you can invest in a vapor barrier and wine refrigeration cooling unit, you can also go for commercial wine storage. 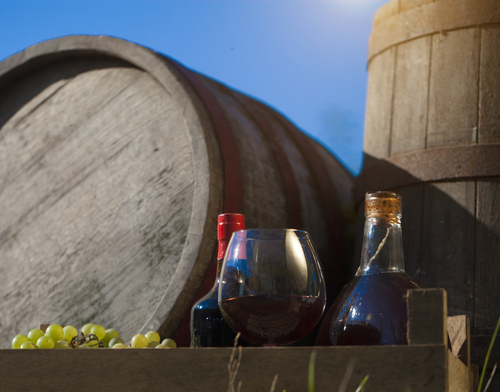 Wine should be kept in an environment where fluctuations in temperature and environment are easily controlled. 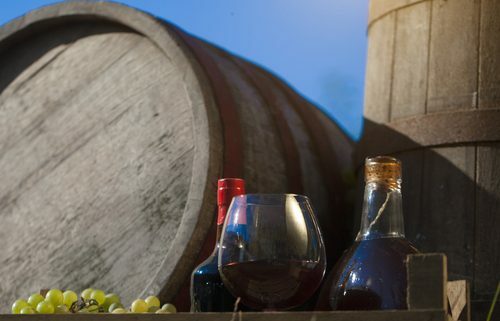 There are different factors that regulate the fluctuation of commercial wine storage temperature: the location of the storage, a quality refrigeration or cooling system, and the material the wine rack is made of. These are lots of things to consider, and thus opting for commercial wine storage will allow you to enjoy collecting wine without having to think about whether the controls are set right. The right wine storage is important in ensuring that bottles don’t degrade due to fluctuating temperatures or any other failure. So if you want to serve the perfect wine and don’t have the right conditions for it, look into high quality, full service, temperature-controlled wine storage facilities like Chateau 55.